The MinGW installer package (mingw-get-inst-20111118.exe). 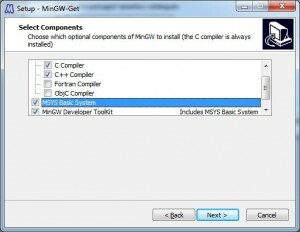 When asked to select the components, choose: C Compiler, C++ Compiler, MSYS Basic System and MinGW Developer Toolkit. Add C:\MinGW\bin;C:\MinGW\msys\1.0\bin; to your PATH system variables (at the beginning). The Console (at the bottom) should show !! !Hello World!!! Why is the jdk required? Have you compiled new OSG version 3.0.1 with MinGW ? do you have binariers ? Haven’t tried it yet, but I think the procedure should be the same. Mingw is working well (I succeed to compile a program using windows cmd.exe). I created a new project (with the c language instead of c++) , toolchain showed Mingw gcc. But when i tried to run (ctrl F11) a error message appeared : Launch Fail Binary not Found. 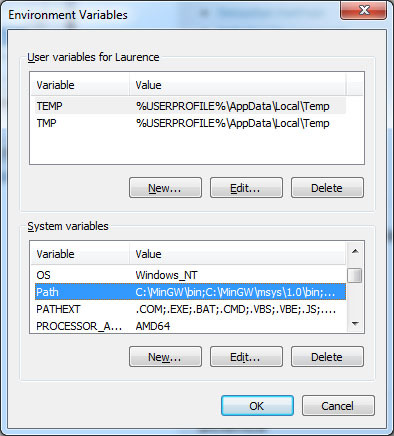 Can you check with windows explorer if the binary is created properly? Maybe eclipse uses the wrong path when trying to launch the executable. I had the same, I did a few things and then I didn’t get the error anymore. I’ve updated the guide, seems like it doesn’t autobuild the binary. Just select your project on the left side, rightclick it and hit build project. That will give you a working binary. I also had this problem. To fix, I reinstalled mingw and chose the option to download the latest builds during the install and installed the optional things with mingw console. I download the mingw-installer, it only offers to me 32 bit settings, I searched about a 64 bit version of mingw, but it doesn’t come with a setup , can you give some reference about how can i install and configure mingw-64 for OpenSceneGraph and sugest a good IDE for work? 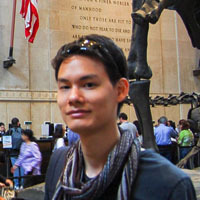 Hi Michel, unfortunately I haven’t tried out the 64bit version of MinGW so I’m not sure if it will work well with OpenSceneGraph. For the IDE, I’d try to use the latest 64 bit Eclipse with the C/C++ plugin. I have a problem.I have #include , but there also be a compile error when invoke the function.